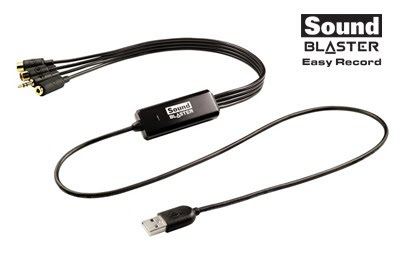 Creative's latest Sound Blaster product is the new Sound Blaster Easy Record. To put things simply, the Easy Record allows you to convert your MiniDisc/cassette tape music into Sound Blaster quality MP3 files. Although I don't personally know of anyone who still uses a MiniDisc player, this product might be targeted at the Japanese market where majority of MiniDisc/Discman were sold. With its cheap price point and bundled software, the Easy Record might not be such a bad idea afterall.